National Worship of Tools Day!!! IT IS NATIONAL WORSHIP OF TOOLS DAY!!! Can you imagine a life without tools? We can’t! And you don’t have to! We have approximately 233 tools in our Tool Library – and are always adding more! We have all sorts of things! We have laptotps and iPads, chargers and cables, hammers and screwdrivers, 3D scanners and hot glue guns, GoPro cameras and Raspberry Pi – all available to check out! We also have an Occulus Rift for use in the library! Need a video game screwdriver set? We’ve got that! Wire cutter/stripper? Yup, we’ve got that. Sound level meter? We have that, too! Multimeter? Projector? 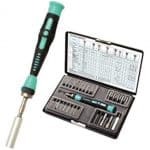 Heat Gun Kit? Oscilloscope? Yes, yes, yes, and yes! We have those!! We have 3D scanners, cables and chargers (63! ), 5 laptops, 12 iPads, calipers, a 25-foot tape measure, speed gun, wrenches, pliers, screwdrivers, socket set . . .
And, we have just added 2 Video Conference Meeting Cameras (Owls) and a vibration meter! Check our Tool Library to see everything that is available! 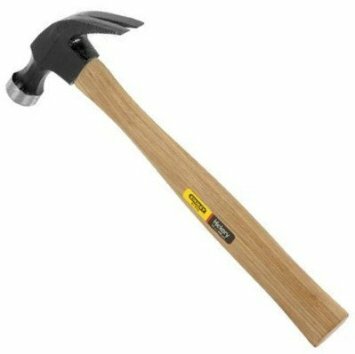 Happy National Worship of Tools Day!! 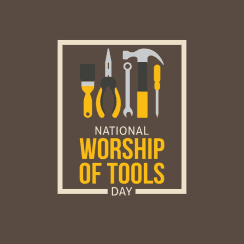 Worship of Tools Day : 2019 National Worship of Tools. 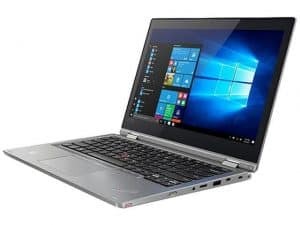 Dayfinder.com Date accessed: March 2019. Get Ready for Girls in Aviation Day! This Sunday, September 23rd is Girls In Aviation Day! “Flying is so much more than just a quick way to traverse space. Amelia Earhart, Feb. 7, 1934, Christian Science Monitor. In honor of Girls in Aviation Day, let’s take a brief look back at the women aviation pioneers! Amelia Earhart. Photo Credit: The Official Amelia Earhart website. When we think of women in aviation, we often think of Amelia Earhart. But have you heard of Harriet Quimby, Lores Bonney, Fay Gillis Wells? Amelia Earheart took her first plane ride in 1920 and began flying lessons in 1921 – buying her first plane that same year. Harriet Quimby was a newspaper reporter/writer and was assigned to cover an airshow in 1910, and she was hooked. On May 11, 1911 – one day before her 36th birthday, she entered flight school. In 1931 Lores Bonney set a new Australian record for a one-day flight by a woman. In 1933 she was the first woman to fly from Australia to England. In 1928 Fay Gillis jumped from a disabled plane in flight, making her the first woman to join the Caterpillar Club – a group composed of pilots who have made life-saving jumps with silk parachutes. Betty Skelton-Frankman won the International Feminine Aerobatic championship in 1948, 1949, and 1950. She was best known for the trick “inverted ribbon cut,” (she flew upside down, 10 feet off the ground, through a ribbon tied between two poles)! In 1994 Patrice Clarke-Washington was the only African American woman flying with the rank of captain for a major airline. 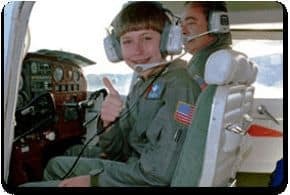 Jean Ross Howard-Phelan is the 13th woman in the world to receive a helicopter’s pilot license. She learned to fly in 1954. Florence Parlett actively flew until she was 83 years old and has operated the Annapolis Flying Service at Lee Airport in Edgewater, Maryland. In 1993 at age 11, Victoria Van Meter flew across the ocean and then did it again the following year. A flight instructor was required to be with her on both flights because she didn’t meet the age limit to fly alone. 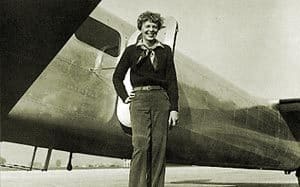 These women, and so many others, laid the groundwork for women to pursue their love of flying in a variety of aviation careers. Lori Love: crop duster in California. 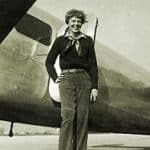 Madge Minton: joined the WASPs (World War II Women Airforce Service Pilots) and flew fighter planes across the country to various military bases. Susan Still: 3rd woman trained in combat aircraft for attack missions. Suzanne Asbury-Oliver: skywriter for Pepsi in 1980. Evie Washington: flight instructor for the Civil Air Patrol. Mary Edna Fraser: uses aerial photography to inspire her silk batik artwork. She doesn’t have a pilot’s license, but will take off, land, and maneuver the aircraft into position. Ellen Paneok: Native American Eskimo pilot – delivering supplies and mail to remote Alaskan villages. 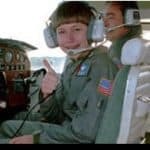 Mayte Greco: Cuban American pilot and founding member of Brothers to the Rescue (Hermanos al Rescate), an organization of pilots who fly search and rescue operations over the ocean between Florid and Cuba searching for Cuban exiles in rafts. 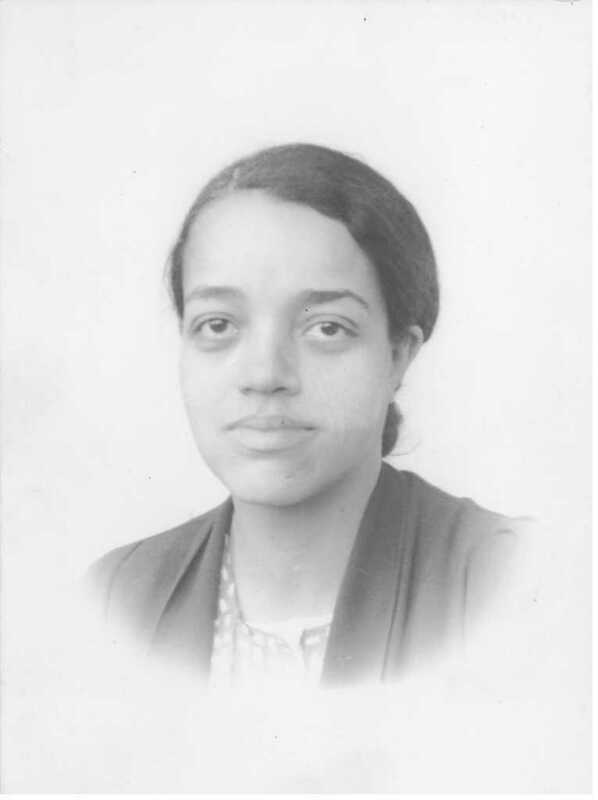 Dorothy Vaughan, “Human Computer, in her twenties. They also paved the way for the participation of women in NASA and space exploration. In the beginning they were “human computers,” then aeronautical engineers, and then astronauts. Shannon Lucid: one of the original core of women astronauts; in 1997 she held the record for the longest time in space for an American (188 days on board the Russian space station Mir). Mary Ellen Weber: mission specialist on board space shuttle Discovery in June of 1995. Vickie Gutierrez: Aerospace Engineering. Began working for NASA in 2002. Rosalind Cylar: Attorney and advisor in the Office of chief counsel at NASA’s Marshall space Flight Center. Courtney Ritz: Is blind and works at the Goddard Space Flight Center since 2002. 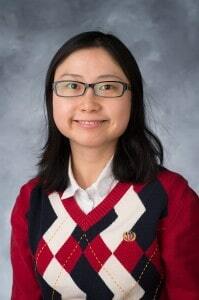 She is the Web Accessibility Coordinator. Peggy Whitson. Photo credit: NASA. In September 2017, astronaut Peggy Whiton broke NASA’s record for the longest time spent in space – 665 days! 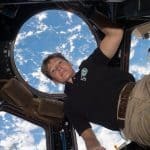 She also holds other records – the record for the oldest woman to go to space (57 years old); women’s record for the longest amount of time doing spacewalks – 53 hours & 22 minutes; and the first woman commander of the space station. On her latest mission she traveled 122.2 million miles and went orbited Earth 4,623 times. She was born in Mt. Ayr, Iowa. All of these women – from the pioneering aviators to the pioneering women in aeronautics – have helped clear the way for this generation, and future generations, to fulfill their dreams of flying! Girls in Aviation Day is sponsored by Women in Aviation International. Women in Aviation International (WAI) hold events are being held world-wide and include one in Dubuque, IA, which is sponsored by the WAI University of Dubuque Chapter. Contact Polly Kadolph for more information. Tallman, Jill W. November 18, 2011. Mary Edna Fraser. AOPA. Aircraft Owners and Pilots Association. Vicki Van Meter. 2012. Vicki Van Meter. Record-breaking NASA Astronaut Peggy Whitson Sets New Record for Time in Space. NASA. Keating, Fiona. Sept. 2017. Astronaut Peggy Whitson breaks NASA’s record for longest time spent in space. Independent : News, Science. Roberts, Jason, editor. Aug. 3, 2017. Peggy A. Whitson (PH.D.) NASA Astronaut. National Aeronautics and Space Administration. Eschner, Kat. June 16, 2017. Meet the Rogue Women Astronauts of the 1960s Who Never Flew : But they passed the same tests the male astronauts did – and, yes, in high heels. SMARTNEWS : Keeping you current. Smithsonian Institution. Riley, Ricky. June 29, 2016. 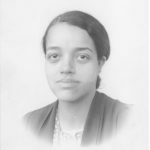 This Black NASA Mathematician Was the Reason Many Astronauts Came Home – Their Life Depended on Her Calculations. Atlanta Black Star. Amelia Earhart. The Family of Amelia Earhart. Date accessed: August 29, 2017. National Geographic. NASA Langley to dedicate building in honor of Katherine Johnson. NASA Women of Stem. August 3, 2017. National Aeronautics and Space Administration. NASA. Posted in Aviation, Blog, National "Holidays"
March 14th is Pi Day!!! Beginning geometry students might remember finding the area of a circle – pi x radius squared…. But, what is Pi (π) and why does it rate its very own day? Pi is one of the most famous and mysterious of numbers. Defined as the ratio of the circumference of a circle to it’s diameter, Pi seems simple. However, it is an irrational number. An irrational number cannot be expressed exactly as a fraction and the decimal representation therefore never ends, nor does it ever settle into a permanent repeating pattern. Scientists have calculated billions of digits of Pi, starting with 3.14159265358979323…. with no end in sight. It could be calculated to infinity and there would be absolutely no way to know which number would come next. 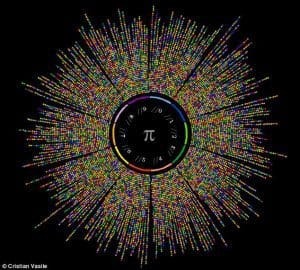 Pi is not only irrational, it is also transcendental! A transcendental number is a number that is not a root of any algebraic equation having integral coefficients, as π or e. All transcendental numbers are irrational, but not all irrational numbers are transcendental. . . Designers Cristian Ilies Vasile and Martin Krzywinski transformed the number pi into stunning works of art. Check out Martin’s website for an explanation of how he creates his amazing works. Accuracy of 10,000 rational approximations of π for each m/n and m=1…10000. Martin Krzywinski. Want to see what 100,00 digits of Pi look like? Go here. In the Star Trek© television episode, Wolf in the Fold, Spock defeats an evil enemy in the Enterprise’s computer system. How? He ordered it to “compute to the last digit the value of pi.” Which we know can not be computed! The number 360 occupies the 360th position in the digits of Pi. Divide the length of a river – with all the bends and curves – by the length of the river would be “as the crow flies,” the average ration will be approximately Pi. Watch this youtube video for an explanation! In 2008 a crop circle with Pi embedded in it appeared near Barbury Castle in Wiltshire, England. Want to impress your friends with how many digits of Pi you can recite? Here is a song that should help you remember…. Just remember – you’d be irrational to not celebrate Pi Day! Mead, Wendy. March 13, 2015. Fascinating Facts About Pi Day & Birthday Boy Albert Einstein. A&E Television Network, LLC. Bio. West, Marc. July 1, 2008. Pi appears in a crop circle. +plus magazine . Walton, Rod. March 14, 2014. Pi common in everyday life, not just dessert. Tulsa World . Swanson, Ana. March 14, 2015. 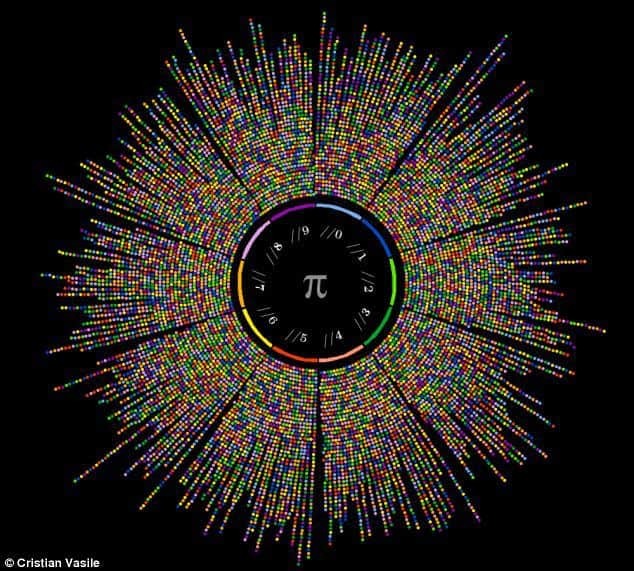 10 stunning images show the beauty hidden in pi. The Washington Post . Martin Krzywinski Science Art. 1999-2018. Martin Krzywinski. Are you addicted to Sudoku? Rubik’s Cube© ? Logic puzzles? January 29th is National Puzzle Day!! SO many puzzles! Where does one even begin!? 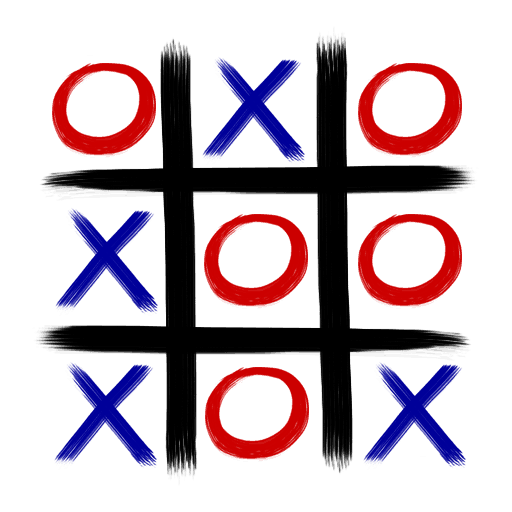 How much time did you spend playing tick-tac-toe when you were a kid? Did you realize the person who had the first go was at a disadvantage? The first player actually has to draw one connecting line longer than the opponent. So, if you are the first to go and still win, that’s impressive! If you add more squares – say 18 – there are 153 connecting lines. Which means there are 3153 game situations – roughly equivalent to the number of particles in the universe. Searching for a winning strategy is quite impossible and sometimes referred to as “computational chaos.” I had trouble winning with just 9 squares…. If that isn’t challenging enough, there are also circular Sudoku puzzles! 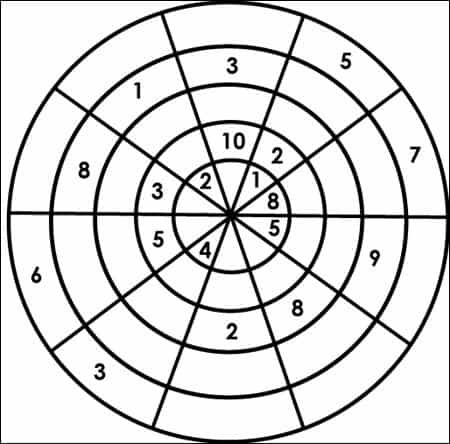 Each of the 4 rings and 8 quarter circles have the numbers 1 through 8 (unlike the square version which has 9). Of course, you can always have 3-ring puzzles, or 5 and 6 ring puzzles. Variants and puzzles can be found in Nets, Puzzles, and Postmen. 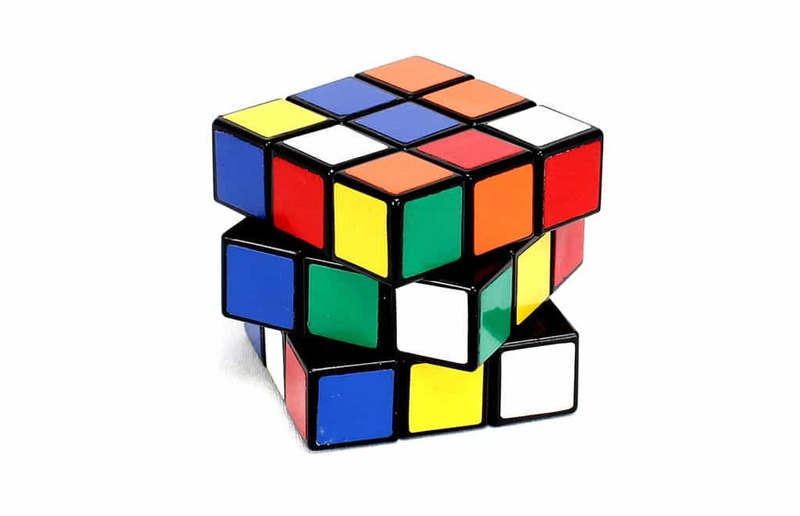 How many of us have tried to solve the Rubik’s Cube© ? The classic Rubik’s Cube© consists of 26 cubelets on 3 levels. Each level of cubelets can be twisted by 90 or 180 degrees. If you twist the layers independently the cube can be brought into approximately 43 million, trillion possible states of the cube (yes, really 43 million trillion!) … The goal? Make each side of nine cubelets the same color. Tomas Rokicki, a Stanford trained mathematician, ran a program on the supercomputer at Sony Pictures Imageworks. The computing time required the equivalent of 50 years of computing – and with solving more than 25 million billion configurations none were recorded that required fewer than 22 moves. Are you able to do it in 22 moves? Are you able to do it in fewer than 22 moves? Are you able to solve it in a minute and a half? This robot made with Legos© and Raspberry Pi (we have the Raspberry Pi 2 in our Tool Library!) can! Ready for the grown-up version of the baby donut stacker? 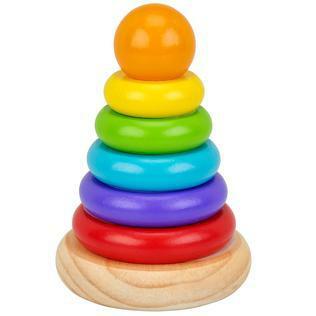 The Tower of Hanoi is a much more complicated form of the donut stacker. 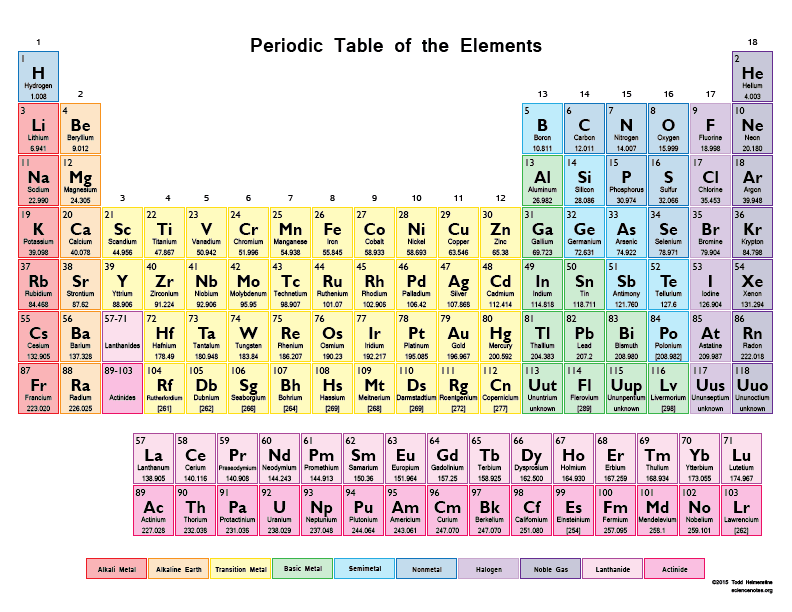 It was invented by the French mathematician, Edouard Lucas, and was first sold as a toy in 1883. The goal is to transfer the tower of 8 disks to one of the 2 vacant pegs in the fewest moves possible…without putting a larger disk on a smaller one…. 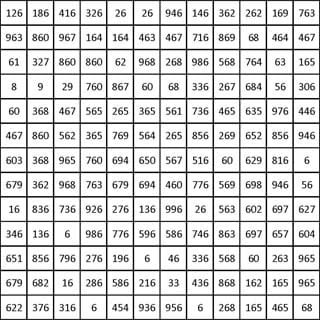 For 8 disks that will take 255 moves… If you haven’t figured it out for yourself, the complete mathematical formulas are on pages 196-200 in Famous Puzzles of Great Mathematicians. Logic puzzles more your style? Try to solve these – good luck!! A dishonest servant takes 3 pints of wine from a barrel and replaces those pints with the same amount of water. He repeats his theft twice, removing a total of 9 pints, replacing those pints with water. As a result, the diluted wine remaining in the barrel lost half of its former strength. How much wine did the barrel originally hold? A cow, a goat, and a goose graze on grass in a field. The cow eats the same quantity of grass as the goat and the goose together. the cow and the goat eat all of the grass in the field in 45 days, the cow and the goose in 60 days, and the goat and the goose in 90 days. How many days will it take the cow, the goat, and the goose together to eat all of the grass, assuming that the grass grows at the same daily rate? Make a rectangle without any gaps by using small squares whoe sides are the Fibonacci numbers 1, 1, 2, 3, 5, 8, 13, and 21. Ever heard of the “pea and the sun paradox?” A solid of any size (a small pea for example), can be partitioned into a finite number of pieces and then reassembled to form another solid of any specified shape and volume, (the sun, for example). Is that even possible? Author Leonard Wapner explores this (and many more) puzzles in The Pea & the Sun : A Mathematical Paradox. Or perhaps you would rather eat the puzzle? Try the chocolate puzzle with real chocolate bars and enjoy them once you have solved the puzzle! 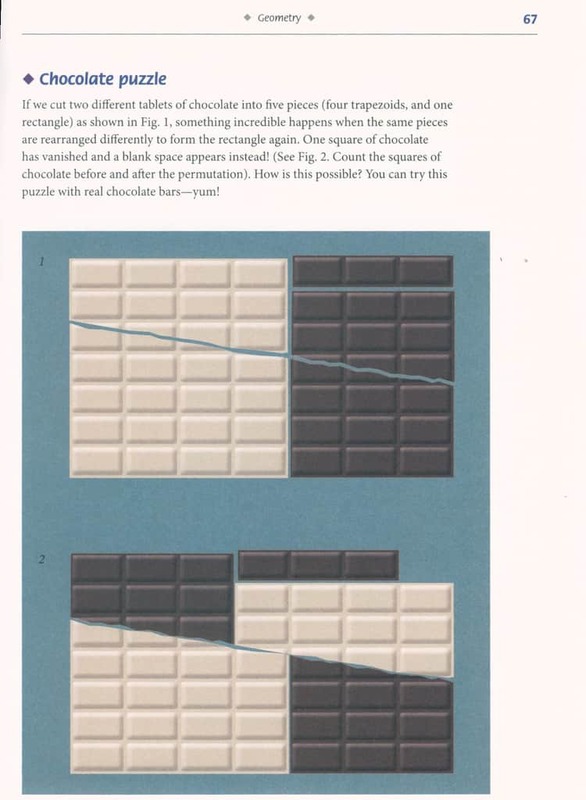 The solution may found on page 67 of Impossible Folding Puzzles and Other Mathematical Paradoxes. Raspberry Pi-powered Lego robot can solve a Rubik’s cube.The Next Web B.V. January 31, 2017. TNW. Posted in Blog, National "Holidays"
Sunday, January 29th, 2017 is National Puzzle Day!! While you are having your Star Wars© movie marathon you might want to create your own Star Wars© Universe. 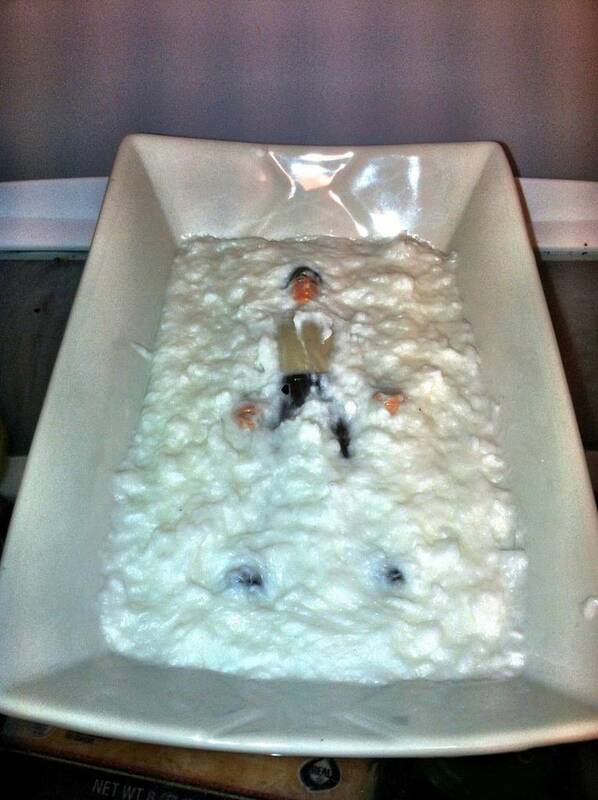 After all, who doesn’t need their own Han Solo in soaponite? An Ewok flower vase, or a Space Slug draft blocker? The Star Wars Craft Book will help you create these, and oh, so many more! There is a complete list of supplies needed to create any of the crafts in the book. Most of them are easily accessible or found around the house. Supplies include (but are not limited to) a needle-nose plier, sandpaper, tape measure, ruler, tape and binder clips. Each of the crafts has step-by-step instructions and are illustrated in full-color. Playtime includes finger puppets, a washcloth Wampa, and, for you cat lovers, a mouse Droid cat toy. Home Decor: Every Star Wars© home (universe) should have a Chewbacca tissue cover, Jabba the Hutt body pillow. And, of course there is Han Solo soaponite! For the holidays you can have a Wookiee pumpkin for Halloween, a Mistle-TIE Fighter, or a Hanukkah Droidel. 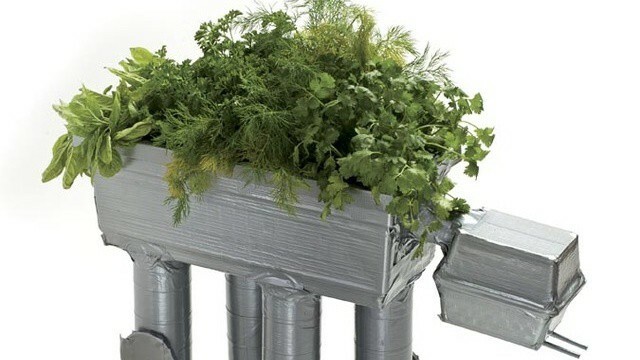 Nature & Science includes a Dagobah carnivorous plant habitat, a Wookiee bird house and an AT-AT herb garden. And for those of you who want that Star Wars© style, there is a chapter that includes character rings, 5 things to do with your Star Wars© t-shirts, and my favorite – a crocheted R2-D2 beanie! Perhaps, you’d like to create your own Daisy Ridley (Rey) blaster that she used in Star Wars: The Force Awakens.© This youtube video will help you do just that! If you are more into the gaming side of Star Wars©, check out Game On, Hollywood! Essays on the Intersection of Video Games and Cinema. The essays in this book look at how games and films intersect. The book looks at adaption, both video game to film and film to video game, but is mostly about narrative, bringing attention to the ways and possibilities of telling a story in the present moment. 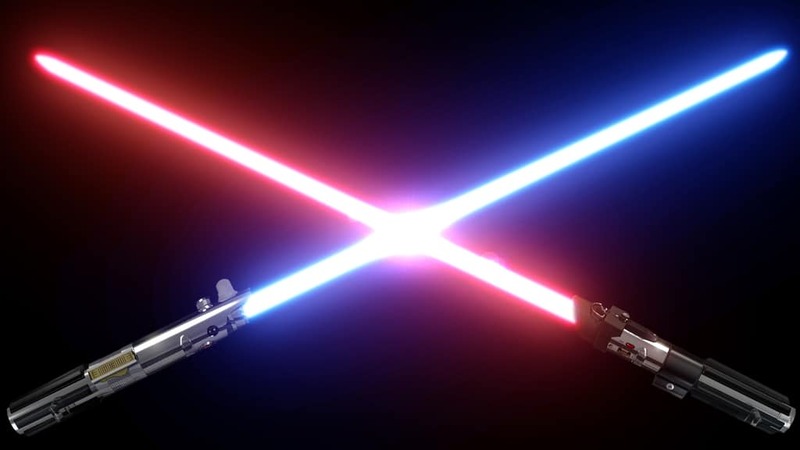 Felan Parker, author of the essay titled Millions of Voices: Star Wars©, Digital Games, Fictional Worlds and Franchise Canon, discusses how “the Star Wars© franchise has come to be defined by its emphasis on a singular, cohesive canon and larger fictional universe.” (pg. 156). This is the perfect resource for you to explore consequences of time, place and ideology, and examine approaches to the narrative in the age of multimedia storytelling. Whether you choose to celebrate by making your own Daisy Ridley’s blaster (or a lightsaber! 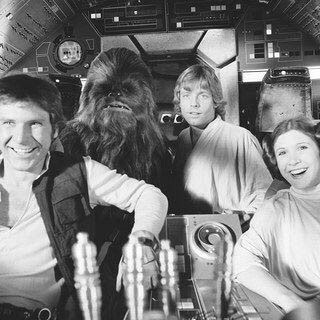 ), or looking at the intersection of games and film, enjoy and May the 4th be with you!! 4/4/16 = Square Root Day!! April 4, 2016 is Square Root Day – so let’s get to the root of it!! The next square root day won’t be until May 5, 2025, so let’s celebrate! There are only nine square root days in a century – so don’t miss this one! 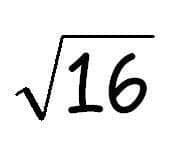 The square root is an important mathematical concept used in many different occupations – including carpentry, engineering, architects, landscapers, and artists and designers. So, what is a square root? The square root of any number (x) is equal to the number (y) that when multiplied by itself or squared returns the first number (x). In other words, the square root of x is y, because x X x or x²2 is y. Did you know that the symbol for square root (√) is called the radix or the radical sign? And Christoff Rudolff first used it in 1525? If m-squared were equal to two n-squared, then to their prime factors we’d fly. But the decomposition that lies on the left has all its exponents even. What fun ways can you find to celebrate this auspicious day? Eat square shaped food – made from root vegetables (what else!?). How about square sweet potato fries, make a square carrot cake! Try root vegetables you might not have eaten before: rutabagas, parsnips, yucca roots, and kohlrabi. How Many Moles in a Mole? It is National Mole Day! Sorry cute (? ), burrowing creature, it isn’t your day. National Mole Day is celebrated by chemists and chemistry students on October 23rd. The mole is honored between 6:02 a.m. and 6:02 p.m. This makes the date 6:02 10/23, And where did that number come from and why does it deserve it’s own day? 6.02×10^23 is called the Avogadro Constant and it defines the number of particles (atoms or molecules) in one mole of substance. In simple terms, a mole of anything is always 6.02×10²³. This invented unit is a consistent and convenient measuring unit much like saying a dozen or a byte. How to celebrate National Mole Day, you ask? 2. 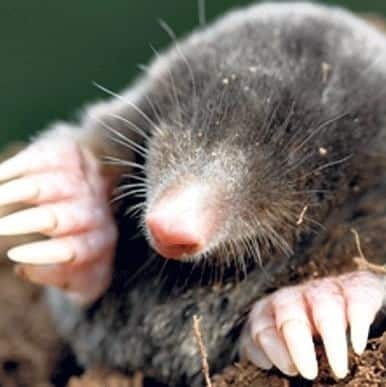 Test your Mole knowledge by taking this quiz. 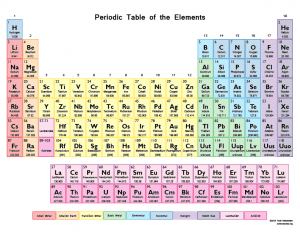 What do chemists wear when it’s cold? Ther-mole underwear. 4. Try a mole experiment. 5. Watch a New York Times science video about moles. What Is a Mole and Why are Moles Used?. 2015. About Education. On April 24, 1990 the Hubble Space Telescope (HST) was launched from the Space Shuttle Discovery. Previously, telescopes had been positioned on remote mountaintops and away from city lights in order to prevent distortion from Earth’s atmosphere. 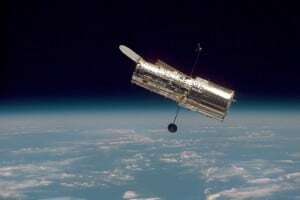 Now Hubble was being propelled into Earth’s orbit to prevent atmospheric distortion literally by rising above it. 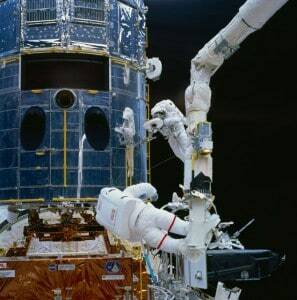 As telescopes go, Hubble is not large, the mirror measures 7’10” across (2.4 meters), the length of a large school bus3 (the largest telescope in the southern hemisphere is 30 feet).4 Hubble weighs 24,500 pounds – as much as 2 full-grown elephants5 – and was named after Edwin Hubble, the man who is credited with discovering the cosmos. Mystic Mountain. 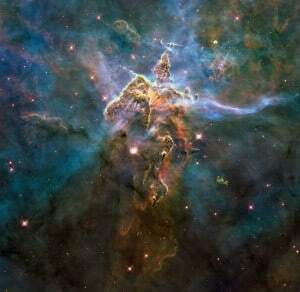 Photo released for Hubble’s 20th Anniversary. 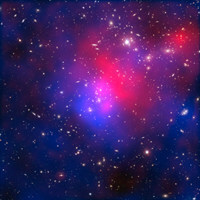 Pandora’s Cluster. Photo published 2013. Hubble Space Telescope. Feb. 20, 2015. NASA. The Hubble Space Telescope. National Aeronautics and Space Administration, Goddard Space Flight Center. This website is kept for archival purposes only and is no longer updated. Accessed: April 2015. The Telescope Hubble Essentials. 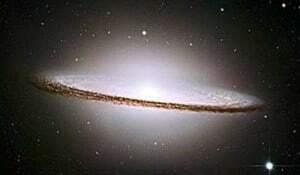 HubbleSite. Date Accessed: April 2015. Kanipe, Jeff. Chasing Hubble’s shadows: the search for galaxies at the edge of time. 2006. New York : Hill and Wang. Engineering Library QB500.262 .K36 2006. Newscenter. April 22, 2010. HubbleSite. Gallery. HubbleSite. Date Accessed, April 2015. Newscenter. June 22, 2011. HubbleSite. Newscenter. 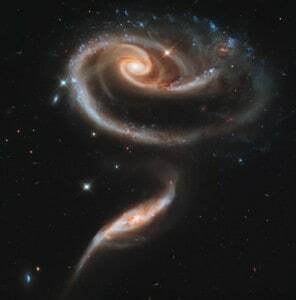 “Rose” of Galaxies. April 20, 2011. HubbleSite. Zimmerman, Robert. 2008. The universe in a mirror : the saga of the Hubble Telescope and the visionaries who built it. Princeton, N.J. : Princeton University Press. Engineering Library QB500.268 .Z56 2008. Expect the unexpected in a Hubble 25th anniversary video. April 10, 2015. NASA. The Hubble Space Telescope turns 25 – here are its best 25 images. April 20, 2015. Extreme Tech. Highlights of Hubble. April 15, 2015. Nature: International weekly journal of science. 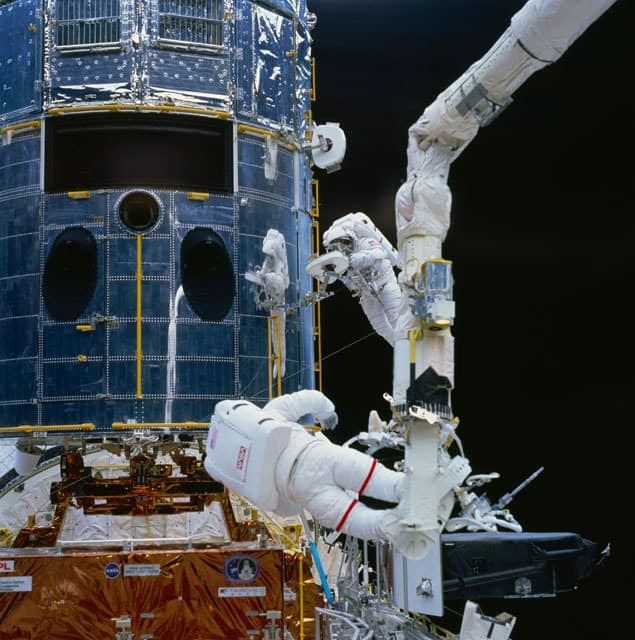 Biography of a space telescope: Voices of Hubble. April 15, 2015. Nature: International weekly journal of science. 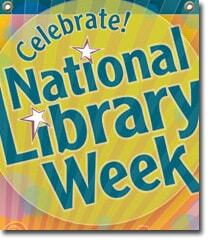 It is National Library Week!! 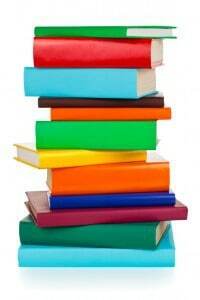 Do you know how much your Engineering Library has to offer? The Lichtenberger Engineering Library – YOUR library – has a collection of more than 150,000 books! We also provide access to over 5,000 current electronic journal titles, and over 100 engineering-related DVDs! On or off-campus, you have access to multiple databases, including Web of Science, Compendex and PubMed. Compendex is the most comprehensive bibliographic database of scientific and technical engineering research available, covering all engineering disciplines. It includes millions of bibliographic citations and abstracts from thousands of engineering journals and conference proceedings. When combined with the Engineering Index Backfile (1884-1969), Compendex covers well over 120 years of core engineering literature. And that is just one of the available databases! That’s a lot of information to sift through. Where do you even start? We have resource/subject guides related to specific departments or resources. Looking for information on patents or biomedical engineering? We’ve got the subject guides to help you get started. Still at a bit of a loss? Come to us for personal assistance! From locating resources within the library to demonstrations on resources and services for individuals, classes or groups, we can help. Please interrupt us! What is a research project or paper without Standards or Patents? We have electronic access to standards from various agencies, including International Standard Organization (ISO), American National Standards Institute (ANSI), ASTM International and many others. You also have access to the patents from many different countries – all available electronically! Even with all these resources, we might not have exactly what you are looking for right here in the Engineering Library. Never fear, there are several ways to get resources to you. If what you are looking for is in another of our on-campus libraries, you may request to have that book delivered to the Engineering Library, ready for you to check out. 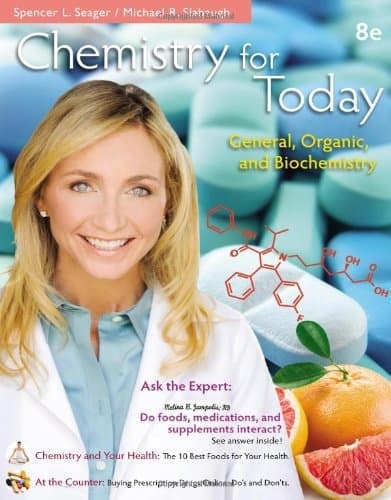 Is that article or book chapter fewer than 50 pages? You can have it copied and a pdf will be emailed directly to you – for free! That resource in an off-campus library? InterLibrary Loan can help with that. Sometimes you need more than books and articles for an assignment or project. 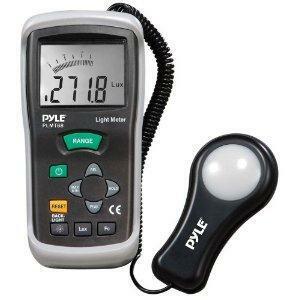 Do you need a light meter, sound meter, eyeball webcam or wrenches, pliers and screwdrivers for that project? We have them, and more! Check out all the tools are available in our Tool Library! We have two new group study rooms available for you to reserve for those group projects. 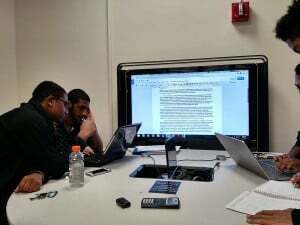 They both have whiteboard walls and one includes a large-screen TV with laptop connections. Besides the group study rooms there are several other areas in which to study. Tables, individual carrels – both upstairs and down, beanbag chairs downstairs, and comfy chairs throughout the library all provide both spaces for collaboration and for quiet study. When you are ready to pull that research paper or project together we have several software programs available that will create bibliographies and citations in a wide variety of formatting styles. One of the software packages is Endnote and it, along with the others, will help you wind up that paper in style! or stop in and meet the staff! Celebrate National Library Week by stopping in and discovering your Engineering Library!